While most Western versions of satay sauce are made with peanut butter, this Thai recipe starts with real peanuts - and you'll taste the difference! 1. Place all ingredients in a blender or food processor. Blend or process until sauce is smooth. If you prefer a runnier peanut sauce, add a little more water or coconut milk. 2. Do a taste-test, adding more fish sauce (or soy sauce) if not salty enough, or more cayenne if not spicy enough. If too salty, add a squeeze of fresh lime juice. If you'd prefer it sweeter, add a little more sugar. 3. 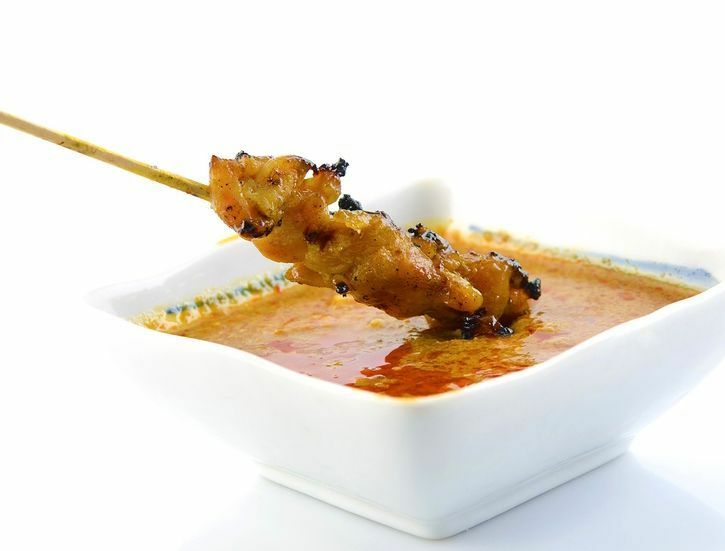 Serve warm or at room temperature with Thai chicken satay, Thai pork satay or vegetarian/vegan Thai satay. ?